The danger in signing up on International Trade Agreements with the US is in having your own good environmental legislation over-ruled by a judge that takes interests of a corporation to be of higher value then those of millions of people. Ask Uruguay about its relations with Philip Morris and the possibility of having its tobacco-watch laws over-ruled. Es ist erschreckend: Ein Konzern könnte mit einem tödlichen Produkt Gesetze kippen, die unsere Gesundheit schützen. Die Richter sind bereits unter Beschuss geraten, weil sie die öffentliche Meinung bei ähnlichen Fällen nicht beachtet haben. Sorgen wir dafür, dass das jetzt passiert: Wenn wir einen riesigen Aufruf starten und erstklassige Rechtsexperten engagieren, die unsere Stimmen in den Gerichtssaal tragen, können sie nicht weghören. So könnten wir verhindern, dass ihr Urteil einen schlimmen Präzedenzfall schafft. In Uruguay müssen Zigarettenschachteln zu 80 Prozent mit gesundheitlichen Warnhinweisen und Schockbildern versehen werden. Das Rauchen war dort zu einer Krise ausgeartet, die täglich etwa sieben Uruguayern das Leben kostete. Doch seit es das Gesetz gibt, wird von Jahr zu Jahr weniger geraucht! Nun behauptet der Tabakriese Philip Morris jedoch, dass die Warnhinweise keinen Platz für seine Markenzeichen lassen. All dies ist Teil einer weltweiten Strategie von Philip Morris: Länder zu verklagen und einzuschüchtern. Der Konzern hat Australien bereits einen teuren Gerichtsfall aufgedrückt, und wenn er jetzt gegen Uruguay Erfolg hat, könnte Philip Morris in über Hundert weiteren Ländern Klagen einleiten — darunter Frankreich, Norwegen, Neuseeland und Finnland. Denn in all diesen Ländern werden gerade neue lebensrettende Gesetze erwägt. Experten sagen, dass Philip Morris gute Gewinnchancen hat. Schließlich wird das Verfahren hinter verschlossenen Türen vor einem internationalen Schiedsgericht behandelt, das letztes Jahr bei zwei Dritteln der Fälle zugunsten von Unternehmen geurteilt hat. Und das Urteil ist verbindlich, obwohl viele der Richter keine unparteiischen Rechtsexperten, sondern Privatpersonen mit Verbindungen zur Unternehmenswelt sind. Bringen wir sie also dazu, über die verheerenden Auswirkungen nachzudenken, die ihr Urteil für die weltweite Gesundheit haben könnte. Uruguay hat sein eigenes Team von Rechtsexperten, doch diese konzentrieren sich zurecht auf ihre jeweiligen Verteidigungsargumente. Wir können jedoch ein einzigartiges rechtliches Argument zum Tragen bringen: dass dieses Urteil einen Präzedenzfall für jedes Land schaffen würde, in dem Rauchergesetze und ähnliche Handelsabkommen existieren. Wir können den Richtern außerdem zeigen, dass die Menschen hinter ihnen stehen, wenn sie zugunsten Uruguays und der öffentlichen Gesundheit urteilen. Wenn Großkonzerne das Gemeinwohl in tödliche Gefahr bringen, tritt unsere Gemeinschaft in Aktion. Sei es bei Monsanto oder bei H&M — wir haben immer wieder dafür gesorgt, dass Profite nicht über das Wohl der Menschen gestellt werden. Und jetzt können wir das noch einmal tun. Avaaz.org ist ein weltweites Kampagnennetzwerk mit 41 Millionen Mitgliedern, das sich zum Ziel gesetzt hat, den Einfluss der Ansichten und Wertvorstellungen aller Menschen auf wichtige globale Entscheidungen durchzusetzen. (“Avaaz” bedeutet “Stimme” oder “Lied” in vielen Sprachen). Avaaz Mitglieder gibt es in jedem Land dieser Erde; unser Team verteilt sich über 18 Länder und 6 Kontinente und arbeitet in 17 verschiedenen Sprachen. Erfahren Sie hier, etwas über einige der größten Aktionen von Avaaz oder folgen Sie uns auf Facebook oder Twitter. Canibalism at the World Cup 2014? FIFA is not the UN – The answer ought to be the Discualification of Uruguay from this year’s games for not taking a National stand against their player – and Luis Suarez, a repeat-canibal ought to be discualified from the sport for life. We await a stand by Brazil, the host, as well. UPDATED – so far we say BRAVO COLOMBIA for eliminating Uruguay. Our week-end update is Bravo Colombia for eliminating Uruguay that advanced thanks to one of their players biting an Italian player before that game was over – then scored one more goal. We did not see any clear excuse on part of Uruguay for the misdeed – that is for the third time a repeating crazy activity on the part of that player. Brazil failed by not taking clear stand on a crime committed on its territory and on its watch as hosts of these games. FIFA failed miserably by eliminating only the culprit player and this only for the rest of this com petition. They did not even make the minimum effort of recommending psychiatric treatment for the player who was left rejoining a British or Spanish team that might think they can now bask in his increased fame. Only decent reaction we found from advertisers that used his fame as a player for their TV adds. Some already pulled of those advertisements hitting him in his pockets. But how long will this last? FIFA must be restructured and the fact that there are allegations of bribery against their executive just increases the call for personnel change in that organization. Only clean sport should prevail. The present situation is not sustainable. Luis Suarez holds his teeth after biting Giorgio Chiellini’s shoulder during last week’s World Cup match between Italy and Uruguay in Brazil. FIFA has banned Suarez for nine games and four months over the incident. Controversial Uruguayan striker Luis Suarez apologized Monday for in last week’s World Cup soccer game between their two countries. FIFA, soccer’s governing body, for nine games and fined him 100,000 Swiss francs (about $112,000) for the act, and banned him from any soccer activity for four months. Uruguay, playing without their star player on Saturday, in the knockout stage of the World Cup being held in Brazil. THESE ARE REACTIONS IN THE WORLD OF THE BUSINESS OF FOOTBALL/SOCCER NOT IN THE WORLD OF ETHICS. Uruguay defends Suarez as FIFA scrambles. RIO DE JANEIRO (AP) — As the world was judging Uruguay‘s Luis Suarez for biting a player in the World Cup, his teammates, coaches and fans in World Cup organizers scrambled Wednesday to quickly decide on a punishment before Uruguay plays Colombia Saturday in the round of 16. ”We have to resolve it either today or tomorrow,” FIFA disciplinary panel member Martin Hong told reporters Wednesday. The disciplinary committee meeting was already underway on Wednesday evening, FIFA spokeswoman Delia Fischer said. Wilmar Valdez, Uruguay football federation president, told the Associated Press shortly after midnight local time that the disciplinary hearing will continue Thursday morning. Blatter, who was in the crowd for the Uruguay-Italy match at Natal, has pledged a zero tolerance for the darker side of the game. Many are questioning where that leaves a player like Suarez, who has a history of disciplinary problems including separate bans of seven and 10 matches for biting opponents in the Netherlands and England. Valdez said Uruguay officials were sent a video of the incident by FIFA, and would respond with footage showing Suarez – a striker for Liverpool and last season’s player of the year in England’s Premier League – as a victim of Italian aggression. ”When he falls, several substitutes insult him on the ground and some members of Italy’s staff even came out of the bench to try to hit him,” Valdez said, suggesting FIFA could investigate Italy. Uruguay also will cite Brazil star Neymar getting only a yellow card in a clash with a Croatia player, Valdez said. Uruguay federation board member Alejandro Balbi, who is Suarez’s lawyer, blamed European media reporting. ”This happened because there have been campaigns launched by the media in England and Italy,” Balbi told Uruguayan radio Sport 890. Suarez’s teammate Diego Lugano agreed. Lugano said he had seen ”much more violent plays” than the bite at the World Cup. ”It was a normal taunt in football, and the world press ends up talking about something totally trivial,” he said. FIFA’s case against Suarez – announced early Wednesday – will be managed by a Swiss lawyer, Claudio Sulser, chairman of the FIFA disciplinary committee. A former international forward himself, Sulser has worked for four years at FIFA, first as head of its ethics court. Sulser can choose to judge the offense within the scale of typical red-card incidents: A three-match ban may then be appropriate, banishing Suarez at least until the World Cup final should Uruguay advance that far. The maximum penalty would be a ban of 24 international matches. FIFA can also choose to ban Suarez for up to two years. That would cover club and international games and would ruin a widely speculated transfer to Barcelona or Real Madrid. Suarez and the Uruguay football federation had until 5 p.m. local time Wednesday (4 p.m. EDT/2000 GMT) to present a documented defense. Completing the case ahead of Saturday’s match could be complicated if Suarez appeals. That challenge could go direct to the Court of Arbitration for Sport in Switzerland for an urgent and binding ruling. However, one option open to FIFA and Sulser to avoid that scenario is that a suspension of ”fewer than three matches or of up to two months” cannot be appealed, according to FIFA rules. ”We will not tolerate unsporting behavior,” 888poker said in a Twitter message. Last month, the firm announced a global endorsement contract with Suarez, a poker enthusiast. adidas, which also has Suarez as a client and is FIFA’s longest standing World Cup sponsor, said it was monitoring the case. Meanwhile, Suarez was criticized by a Uruguay football great Alcides Ghiggia, the last survivor of the team which defeated Brazil to win the 1950 World Cup. The Council on Foreign Relatons suggests not to push the information on US Surveillance under ruggs – but rather to use the Snowden information for good future use – starting with the Washington visit of Brazil President Ms. Dilma Rousseff. NSA Revelations an Opportunity for United States and Brazil. We are now three months away from President Dilma’s state visit to Washington. For the last few years, the big unfinished items on the bilateral agenda have been trade and the Security Council. Not so defense. A defense cooperation agreement signed in 2010, even as tension over Iran might well have thwarted it, has created some profitable long term opportunities for Brazilian and American defense firms to enter one another’s markets. Progress in this space is remarkable, if for some uncomfortable, given the history of mutual suspicion when it comes to security affairs. Now the arena of cyber security and internet governance—sovereign and global—also has the potential to create some very interesting presidential conversations about the tensions these two leaders face between privacy, human rights, civil liberties and security, and about the differences and potential synergies in our cultures of innovation and industrial policy. The topic also opens a door into the global personalities of the two countries, in this case regarding the merits and demerits of multilateral institutions for governing the internet. The issue is what will be said behind closed doors and how the US will explain that massive surveillance that clearly had nothing to do with security? Will Snowden Come Between United States and Latin America? Recent leaks reveal that U.S. surveillance programs extended into Latin America, going beyond security and military affairs into commercial enterprises as well. How surprising is this? It’s surprising that in most of the cases, the United States was spying on some of its closest allies in the region. Mexico, Colombia, Brazil—these weren’t places that were hotbeds of terrorism or where we were even spying or gathering information on matters of terrorism. If proven true, [the allegations] reveal that we were gathering information that extended beyond the supposed justification for the NSA program. Second, while all countries spy on each other, what’s different is the type of spying. We were massively collecting information, potentially even on their citizens communicating with each other. That has triggered an understandable reaction from these governments for the United States to explain what it was doing. This isn’t government-to-government spying, or even government spying on people they suspect could place our national interests at risk. This is casting a very wide net both in terms of the people whose information is being collected and also the topics around which it’s being collected. If proven to be true, this surveillance may very much violate the U.S. congressional justification under which a lot of this had occurred. A third surprising element, if proven true, is that the United States was doing this with the complicity of telecom companies in Brazil—though the U.S. ambassador to Brazil denies these reports. Some critics have accused some of these countries of hypocrisy for denouncing the United States, because they have their own domestic wiretapping programs. So to what extent is this about privacy, or are the reactions more about sovereignty? First, there was a lot of heated rhetoric from some leaders even before the allegations came out—about the asylum-seeking, about the unfortunate grounding of President Morales’s plane—that goes far beyond the legitimate concerns of what the spying actually entailed. That rhetoric spilled over in ways that are not very constructive, to the point where you even had Mercosur, a trade association, promise to pull its ambassadors out of Europe—a move that goes far beyond the actual functions of a supposed customs union. Additionally, two presidential summits have been dedicated to this in Latin America—the Unasur summit that brought together [Rafael] Correa, [Nicolas] Maduro, and [Cristina] Kirchner to denounce the grounding of Evo Morales’s plane, and then Mercosur. It seems disproportionate that so much of these presidents’ time, especially in countries that are facing very severe economic news, would be dedicated to this at a summit level. That’s unprecedented when compared to other regions. Second, it is largely a sovereignty issue. For a number of these countries, the memories of authoritarian regimes spying on citizens, rounding up activists and opposition, are still very fresh. 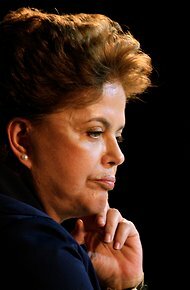 [Brazilian president] Dilma Rousseff was tortured and detained during the military regime. Mexico dissidents and leaders were also spied on by the PRI [Institutional Revolutionary Party] before 2001. The reactions need to be understood in that sense. Are there clear distinctions in the ways that Latin American countries have reacted? There is a range of differences: some reactions are serious, some are performative, and some are simply taking advantage of this. In countries that have taken this as a serious matter—Mexico, Colombia, and Chile—there has been that level of “let’s get to the bottom of it,” couched within a legitimate sense of national sovereignty and protecting their citizens. And the responses have been delivered [to the United States] through diplomatic channels. In between, you have countries like Brazil, which, for reasons perhaps very much tied to recent history, has made moves outside the realm of typical diplomatic activity, and has called the U.S. ambassador to testify before the Brazilian congress. Countries on the other end of this spectrum [Venezuela, Bolivia, and Nicaragua] were already trying to make hay even before the revelations, by offering asylum to Snowden, which, in some ways, has become somewhat of a red herring. Oddly enough, with the exception of Venezuela, those are not the countries where most of the alleged spying occurred. So it’s completely out of proportion to their level of legitimate victimization—with the exception of Morales’s plane getting grounded. Having said that, most citizens of these countries—and we see this in surveys—retain very positive views of the United States. As much as political leaders may use this for domestic political advantage, it certainly doesn’t play as well as many think. Popular opinions hinge much more on domestic issues. A classic example right now is that Rousseff’s popularity went from 57 percent to about 30 percent—that has to do with protests and unmet economic demands; that has nothing to do with spying. These reactions make for good political theater, but I’m not sure they make for good political campaigns. Are there any concrete consequences for U.S.-Latin American relations? Rousseff recently said the leaks would not affect her planned October trip to Washington. The practical implications will be minimal, in part because the United States has such a multifaceted relationship with these countries on everything from immigration to education, cultural exchanges, and economic ties. Those things reflect a very diverse relationship that goes far beyond the diplomatic government-to-government activities. But there are two implications for U.S. relations in the region that are important. One is that the U.S. is currently negotiating the Trans-Pacific Partnership in Latin America that will bring together economies from most of the Asia-Pacific region with Latin America, except for Colombia and Central America. When telecommunications comes down as one of the areas they are talking about, a lot of those negotiating parties are going to take a very close look at what’s in there and that there are safeguards that protect potential intervention and the flow of communication. The second is that the United States’ moral standing on being able to talk about issues like freedom of expression and access to information has taken a serious hit at a time when a number of countries are challenging domestic laws and regional norms concerning these very issues. That’s clearly why we see leaders like Correa, Maduro, Morales, [Nicaragua’s Daniel] Ortega—none of whom are paragons of freedom of expression—suddenly become these champions of transparency. It’s ironic, and it also means that the ability of the United States, and in some cases U.S.-based organizations, to speak out in some of these cases is going to be a little more difficult. On the asylum requests from Venezuela, Bolivia, and Nicaragua, it does appear Snowden is trying to get to Latin America. What are realistic possibilities for him as far as ending up there? I may be proven wrong on this, but I still find it to be a very difficult practical matter that he can find his way to these countries. As much as these leaders have been saying out loud that he is welcome if he can get there, none of them are actually offering to lend their presidential jets to fly him down. For now, it just remains an empty gesture. [Furthermore,] these governments are elected, however imperfectly. Let’s imagine Snowden has a good, healthy lifespan. I find it hard to believe that a chavista government is going to stay in power in Venezuela for fifty years—the same goes for the Morales and Ortega governments. So [asylum in these countries] may provide him a temporary respite, but it’s no permanent guarantee. Sadly, he is being manipulated for international public opinion by these leaders, and who knows when he himself could become a bargaining chip? What can the United States can do to ease tensions in the coming weeks? This is going to be resolved quietly and diplomatically, as a couple of leaders have said—[Colombian president Juan Manuel] Santos has said this; [Mexican president Enrique] Pena Nieto implied the same. Explanations and sharing of details as to the extent of the [surveillance] program and the like hopefully will be addressed. Rather than engage in megaphone diplomacy with the generally aggrieved countries, the United States is handling this quietly. On the other matters of asylum and other things, I think the United States is just letting these countries engage in their own megaphone diplomacy, and when the dust settles, their rantings will probably not have amounted to much. Both the Bush and Obama administrations have sought to justify controversial domestic surveillance programs amid pointed criticism from Congress and civil rights activists. Read the Backgrounder. Venezuela’s Independence Day from Spain – July 3, 1801- and from the US – July 5, 2013 – accentuates the US Snowden problem that just pitted some European States against former colonies in Latin America. On behalf of President Obama and the people of the United States, I congratulate the people of Venezuela as you commemorate the day that Venezuela declared its independence 202 years ago. Venezuela and the United States have much in common. For example, revolutionary leader General Francisco de Miranda also played a part in our own struggle for independence, participating in the Battle of Pensacola in 1781. His contribution is forever memorialized in a monument that stands in the heart of Philadelphia, the original capital of the United States. When a devastating earthquake struck Venezuela in 1812 the United States sent the Venezuelan people the first humanitarian assistance it ever provided to a foreign country. These two examples demonstrate that Venezuela and the United States have shared ties of friendship and common values since the birth of our two nations, and the ties between our people endure. I wish Venezuelans everywhere health, happiness, and hope on the anniversary of your independence. ““As head of state, the government of the Bolivarian Republic of Venezuela decided to offer humanitarian asylum to the young American Edward Snowden so that he can live in the homeland” of independence leader Simon Bolivar and the late President Hugo Chavez without “persecution from the empire,” Maduro said, referring to the United States. He made the offer during a speech marking the anniversary of Venezuela’s independence. It was not immediately clear if there were any conditions to Venezuela’s offer. In Nicaragua, Ortega said he was willing to make the same offer “if circumstances allow it.” Ortega didn’t say what the right circumstances would be when he spoke during a speech in Managua. He said the Nicaraguan embassy in Moscow received Snowden’s application for asylum and that it is studying the request. “We have the sovereign right to help a person who felt remorse after finding out how the United States was using technology to spy on the whole world, and especially its European allies,” Ortega said. The offers came following a flap about the rerouting of Bolivian President Evo Morales’ plane in Europe earlier this week amid reports that Snowden might have been aboard. Spain on Friday said it had been warned along with other European countries that Snowden, a former U.S. intelligence worker, was aboard the Bolivian presidential plane, an acknowledgement that the manhunt for the fugitive leaker had something to do with the plane’s unexpected diversion to Austria. It is unclear whether the United States, which has told its European allies that it wants Snowden back, warned Madrid about the Bolivian president’s plane. U.S. officials will not detail their conversations with European countries, except to say that they have stated the U.S.’s general position that it wants Snowden back. Maduro joined other leftist South American presidents Thursday in Cochabamba, Bolivia, to rally behind Morales and denounce the rerouting incident. But the drama surrounding the flight of Morales, whose plane was abruptly rerouted to Vienna after apparently being denied permission to fly over France, suggests that pressure is being applied behind the scenes. Ecuador’s president, Rafael Correa, said on Thursday he and other leaders were offering full support to Morales and called the rerouting of the plane an aggression against the Americas. Cristina Fernandez of Argentina said Latin Americans treasured freedom after fighting for independence from Europe in the 19th century and then surviving Washington’s 20th-century history of backing repressive regimes in the Americas. She demanded an apology for the plane ordeal. Morales has said that while the plane was parked in Vienna, the Spanish ambassador to Austria arrived with two embassy personnel and they asked to search the plane. He said he denied them permission. It seems like time has come for a US face-saving diplomacy before true craters open up at US borders – East, West, and South. We have previously outlined a draft that we did not publish – but think now that the airplane flap justifies a US Presidential pardon to Snowden – just to get the issue of the World table – the damage was done and no sense for the US to dig itself deeper into the hole it created. US senator from New Jersey, Robert Menendez, the Democratic chairman of the Senate Foreign Relations Committee, told little Ecuadoran that he would block the import of vegetables and flowers from Ecuador if Ecuador gives asylum to Edward Snowden. The cost to Ecuador would be one billion dollars in lost revenues. Will he also forbid trips from the US to the Galapagos? Will he be consistent and close US imports of Venezuela oil? Of Latin oil in general? Ecuador and Venezuela happen to be also members of OPEC which Bolivia is not. A policy of threats presents many interesting angles and possibilities. Will there be ways to enlarge this with some reaction to what happens in Egypt, in Saudi Arabia, some more grand-standing anyone? Thursday the leaders of Venezuela, Ecuador, Argentina and Uruguay joined Bolivia’s President Morales in Cochabamba, for a special meeting to address the diplomatic row. At the end of the summit a statement was issued demanding answers from France, Portugal, Italy and Spain. The United States was not mentioned in the statement. Maduro said an unnamed European government minister had told Venezuela the CIA was behind the incident. Before the meeting, Morales said his ordeal was part of a US plot to intimidate him and other Latin American leaders. He urged European nations to “free themselves” from the United States. “The United States is using its agent [Snowden] and the president [of Bolivia] to intimidate the whole region,” he said. France sent an apology to the Bolivian government. But Morales said “apologies are not enough because the stance is that international treaties must be respected”. Spain’s foreign affairs minister, Jose Manuel Garcia-Margallo, said his country did not bar Morales from landing in its territory. Amid the tensions, the US embassy in La Paz cancelled Independence Day celebrations scheduled for Thursday. In the eastern city of Santa Cruz, Bolivian government sympathisers painted protest slogans on the doors of the American consulate. Bolivia has said it will summon the French and Italian ambassadors and the Portuguese consul to demand explanations. Brazil was represented by Marco Aurelio Garcia, President Dilma Rousseff’s top international adviser. The presidents of Colombia, Chile and Peru, who have strong ties to the US, were not attending. Colombia’s president, Juan Manuel Santos, said earlier on Thursday he supported Morales, but asked other leaders to remain cool and avoid an escalating dispute between Latin America and the European Union. “We’re in solidarity with Evo Morales because what they did to him is unheard-of, but let’s not let this turn into a diplomatic crisis for Latin America and the EU,” Santos tweeted on Thursday. Our draft started: Thanks to the Egyptian military – their intervention got off the media front line the Snowden, Assage, Manning, WikiLeaks Warning Lighthouses – and replaced them with a renewed attention to the Islamic potential for acts of terror. Furthermore – Latin America seems split between the go it alone States of the ALBA group – Bolivia, Cuba, Ecuador, Venezuela, their new friends – Argentina, Brazil, Uruguay, and now Nicaragua – and their opponents – the strong US connected, Chile, Colombia, Peru and the Southern European States Italy, France, Spain, Portugal that acted out on unsightly pressure from the White House, and perhaps even Austria – if it turns out to be true that they searched the Bolivian President’s plane. What about Mexico? Will they want to be seen as residing in the US vest-pocket? Today it seems that just the Greens, the so called Pirates, and some other non-political fringe parties, are left in Europe to stand up for Democracy – The Reds, Blacks, Blues, Yellow, Orange, and Purple – all established political parties – have abandoned the Democracy ship because of the Transatlantic breeze from the Potomac. Europe seems anew like the Europe of the thirties with governments worried about their business-ties. Any infringements of democratic inalienable rights are not noted now, like they were not noted then. But this is totally misleading – just read the Guardian where all these stories started. This at a time the voters in quite a few European States do take position on this – and we would not be surprised if Austria as well took back its “Neutral Mantle” to declare that they too are ready to give refuge to Snowden. The coming days will tell. On behalf of President Obama and the American people, I send best wishes to the people of Argentina as they celebrate their Independence Day this July 9. The citizens of our two nations have a long history of productive and friendly relations, highlighted by educational and cultural exchanges and fruitful collaboration in the fields of science, technology, health, space, and energy. The determination expressed by the patriots gathered at the Casa de Tucuman, to forge a free and independent nation, is a fundamental human longing, and one we share. On this day, the United States wishes Argentina a happy celebration. We look forward to working together to cultivate a strong bilateral relationship in the years to come. Neves was the opposition candidate to replace President João Baptista de Oliveira Figueiredo – the last general-President of Brazil. The campaign for direct elections failed. There was no popular public vote. Neves was elected President by a majority of the Electoral College on January 15, 1985, where he received 480 votes. On March 14, on the last day of his predecessor’s term, and on the eve of his own inauguration, Neves became severely ill, requiring immediate surgery. He thus was not able to attend his own inauguration on March 15. The Constitution required the President and Vice-President elect to take oaths of office before the assembled National Congress. The inauguration was accordingly held for the Vice-President only, the Vice-President immediately assumed the powers of the presidency as Acting President. At that time, there was still hope that Neves would recover and appear before Congress to take the oath of office. However, Neves suffered from abdominal complications and developed generalized infections. After seven operations, Neves died on April 21, more than one month after the beginning of his term of office, without ever having taken the oath of office as President. He was succeeded by José Sarney who was the Vice President. Neves’s ordeal was intensively covered by the Brazilian media and followed with anxiety by the whole nation, who had seen in him the way out of the authoritarian regime into what he had called a “New Republic” (Nova República). His death caused an outpouring of national grief. Tancredo Neves is counted among the official list of presidents of Brazil as a matter of homage and honour, since, not having taken the oath of office, he technically never became President. An Act of Congress was thus necessary to make this homage official. Accordingly on the first anniversary of his death, a statute was signed into law declaring that he should be counted among the Presidents of Brazil. BUT NOBODY I TALKED TO IN BRAZIL BELIEVED THAT TANCREDO NEVES DIED OF NATURAL CAUSES. THE BELIEF IS RATHER THAT THE GENERALS WERE NOT READY YET TO TRANSFER POWER TO AN ELECTED PRESIDENT AND THIS INCLUDED NEVES, EVEN THOUGH HIS OWN ELECTION WAS NOT YET THE STATE OF THE ART OF PURE DEMOCRACY. During the period that he was President Elect I had the great honor to be invited to Hotel Pierre in New York to a Presentation he made as guest of the Americas Society and Mr. David Rockefeller. Shortly after that the Organization of American States was involved in a conference on ethanol fuels that was held in Bello Horizonte, Minas Gerais, Brazil. Neves was the opening speaker and Aureliano Chaves, who later became the Energy Minister, and at that time was Governor of Minas Gerais, was the opening presenter. Here was a Brazil in motion that was talking independence of oil imports and local production of fuels. Was this something that ruffled feathers? Above is my addition to the following article that does not mention Tancredo Neves. Nevertheless, if Brazil is ready to look under the rugs of dictatorship, even that an amnesty for the sake of internal peace has been declared, the Tancredo Neves case will eventually be touched upon as well. All what we can say nevertheless, the search for the truth of past dictatorships in the Southern Latin Cone, has in it the makings of unravelling as well US business involvement and CIA operatives that taught methodology of torture in the region. Leader’s Torture in the ’70s Stirs Ghosts in Brazil. RIO DE JANEIRO — Her nom de guerre was Estela. Part of a shadowy urban guerrilla group at the time of her capture in 1970, she spent three years behind bars, where interrogators repeatedly tortured her with electric shocks to her feet and ears, and forced her into the pau de arara, or parrot’s perch, in which victims are suspended upside down naked, from a stick, with bound wrists and ankles. Ms. Rousseff, now president of Brazil, says little these days about the cruelty she endured. 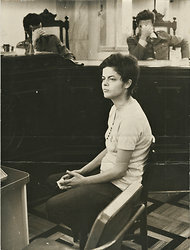 Dilma Rousseff at 22 as a captured guerrilla at a military hearing in 1970. Today, a panel is investigating the torture she and others endured under Brazil’s military dictatorship. That former guerrilla is now Brazil’s president, Dilma Rousseff. As a truth commission begins examining the military’s crackdown on the population during a dictatorship that lasted two decades, Brazilians are riveted by chilling details emerging about the painful pasts of both their country and their president. The schisms of that era, which stretched from 1964 to 1985, live on here. Retired military officials, including Maurício Lopes Lima, 76, a former lieutenant colonel accused of torturing Ms. Rousseff, have questioned the evidence linking the military to abuses. Rights groups, meanwhile, are hounding Mr. Lopes Lima and others accused of torture, encircling their residences in cities across Brazil. “A torturer of the dictatorship lives here,” they recently wrote in red paint on the entrance to Mr. Lopes Lima’s apartment building in the seaside resort city of Guarujá, part of a street-theater protest. While a 1979 amnesty still shields military officials from prosecution for abuses, the commission, which began in May and has a two-year mandate, is nevertheless stirring up ghosts. The dictatorship killed an estimated 400 people; torture victims are thought to number in the thousands. The torture endured by Ms. Rousseff, who was 22 when the abuse began and is now 64, is among the most prominent of hundreds of decades-old cases that the commission is examining. The president is not the region’s only political leader to rise to power after being imprisoned and tortured, a sign of the tumultuous pasts of other Latin American countries. As a young medical student, Chile’s former president,Michelle Bachelet, survived a harrowing stretch of detention and torture after a 1973 military coup. And Uruguay’s president, José Mujica, a former leader of the Tupamaro guerrilla organization, underwent torture during nearly a decade and half of imprisonment. Since Ms. Rousseff took office, she has refused to play the part of a victim while subtly pushing for more transparency into the years of Brazil’s military dictatorship. She rarely refers in public to the cruelty she endured; aside from ceremonial appearances, she has spoken sparingly about the truth commission itself. She declined through a spokeswoman to comment on the commission or the time she spent in prison. Ms. Rousseff has evolved considerably since her days in the underground resistance, when she used several aliases, a trajectory similar to that of other leftists who ascended into Brazil’s political elite. The daughter of a Bulgarian émigré businessman and his Brazilian schoolteacher wife, she grew up in relative privilege, only to abandon that upbringing to join a fledgling guerrilla group, the Palmares Armed Revolutionary Vanguard. After her release from prison, she moved to the southern city of Porto Alegre, where her husband at the time, Carlos Franklin Paixão de Araújo, was completing his own prison sentence for subversion. She resumed her studies in economics, gave birth to a daughter, Paula, in 1976, and entered local politics. Moderating her political views, she slowly rose to national prominence as a results-oriented technocrat. She served as chief of staff and energy minister for Brazil’s former president, Luiz Inácio Lula da Silva. He prevailed on her to run in the 2010 election. She governs with a markedly different style from that of Mr. da Silva, a gregarious former union leader. Even as Brazil’s economy slows, her approval rating stands around 77 percent, as the government expands antipoverty spending and stimulus projects. She won plaudits from some in the opposition by acknowledging the economic achievements ofFernando Henrique Cardoso, Brazil’s president from 1995 to 2002. Such satirical derision on television of a Brazilian leader would have been almost unthinkable at the time of Ms. Rousseff’s incarceration, when Brazilians faced censorship, prison sentences — or worse — for criticizing military rulers. Her experiences in the dictatorship’s torture chambers remained unknown to the public for decades. Some details emerged in 2005, after she was serving in Mr. da Silva’s cabinet, when testimony she provided to the author of a book on women who resisted the military dictatorship was published in Brazilian newspapers. She described the progression from palmatória, a torture method in which a paddle or stick is used to strike the knuckles and palms of the hand, to the next, when she was stripped naked, bound upside down and submitted to electric shocks on different parts of her body, including her breasts, inner thighs and head. It was generally thought that Ms. Rousseff’s torture sessions were limited to prisons in São Paulo and Rio de Janeiro, until an investigative report published in June described more torture interrogations, including sessions during a two-month stretch at a military prison in the southeastern state of Minas Gerais. When she was still an obscure provincial official, she gave testimony in 2001 to an investigator from Minas Gerais, describing how interrogators there beat her in the face, distorting her dental ridge. One tooth came loose and became rotten from the pummeling, she said, and was later dislodged by a blow from another interrogator in São Paulo. Robson Sávio, the scholar who interviewed her then, said she had no obligation to respond to the request for testimony, since the Minas Gerais commission had already collected proof that she had been tortured. But she did so anyway; by the end of the encounter, after recalling interrogations resulting in other injuries, including the hemorrhaging of her uterus, she was in tears, he said. Mr. Lima Lopes, identified as one of Ms. Rousseff’s torturers in São Paulo and still living in seaside Guarujá, has denied torturing her, while defiantly calling her a “good guerrilla.” Other retired military figures, meanwhile, have adopted a similar stance. Luiz Eduardo Rocha Paiva, a former secretary general of Brazil’s Army, called into question in a newspaper interview this year whether Ms. Rousseff had been tortured. But he also claimed she belonged to an armed militant group seeking to install a Soviet-inspired dictatorship. Both insurgents and counterinsurgency agents committed abuses, he said. “Was there torture during the military regime? Yes,” he said. “Is there torture in Brazil today? Yes,” he added, referring to the deplorable conditions in some Brazilian prisons. Ms. Rousseff, who has insisted she never took part in an armed act against the government, has opted not to publicly clash with the former officers. Meanwhile, the commission continues without interference from the president. Paulo Sérgio Pinheiro, a noted legal scholar who is one of its seven members, said the only time he met Ms. Rousseff was when he and his colleagues were convened this year in Brasília. Here in Rio, the search for knowledge of the past has moved state authorities to pay reparations to nearly 900 people tortured in the state during the dictatorship. Among them is Ms. Rousseff, who said in May that she would donate her check of about $10,000 to Torture Never Again, a group that seeks to raise awareness of the military’s abuses. Still, despite such moves, closure remains evasive. Rights activists here were stunned in July after the office of Torture Never Again was burglarized, and archives describing the psychological treatment undertaken by torture victims were stolen. In Copenhagen, April 16-19, 2012, a main global event for Wind Power expected to attract 10,000 people from industry to EU policy makers and journalists. To be Opened by Danish Prime Minister Helle Thorning Schmidt and Danish Crown Prince Frederik, EWEA 2012 Annual Event – running from 16-19 April 2012 at Copenhagen’s Bella Center – is anticipated to attract over 10,000 people from professionals in wind power and industries related to wind energy, to national and EU policy makers and journalists. EWEA and GWEC, are organising a Communications Academy on 19 April at EWEA 2012 in Copenhagen, with a special focus on boosting public acceptance. The one-day programme includes topics such as Wind turbines and Health and a full afternoon session with an interactive discussion on the points of view of developers, national associations and the grid industry on improving public acceptance and how to better communicate and share best practices. Global Wind Day, organised jointly by GWEC/EWEA, takes place on 15 June every year. It provides the opportunity for citizens to discover and find out more about wind energy. Preparations for the fourth annual Global Wind Day are well under way. The consumer label WindMade can now be used for events that are 100% powered by wind power. A WindMade events label was developed in response to numerous requests that the organisation has received from event, conference and trade show organisers who want to differentiate their events by showing their commitment to wind power. Sub-Saharan Africa (SSA) suffers from acute power shortages, detrimental to growth and poverty reduction. SSA also has significant wind resources, with an exploitable wind potential of almost 7GW over the next 15 years (excluding South Africa). Yet, wind energy investments in SSA are far below their potential, largely due to the political risks associated with financing. Siemens and Shanghai Electric intend to set up two new joint ventures to form a strategic alliance for the Chinese wind power market. Corresponding agreements were signed on 8 December 2011, in Shanghai by the two companies. The aim of this alliance is to better serve China as the world’s largest wind power market. China’s National Standardization Committee approved and released “Technical Rules for Connecting Wind Farms to the Power System” (GB/T 19963-2011), which will begin being enforced on 1 June. The standard, also known as China’s national grid code, has been controversial throughout the multi-year drafting process, attracting much industry attention. The code includes technical requirements for individual WTGs as well as wind power plants. Current regulatory rules between Brazil and Uruguay allow only for the exchange of surplus thermo and non-turbinable hydro, i.e., excess electricity. Brazil’s National System Operator (ONS) together with the Ministry of Mining and Energy have conducted a study on a more complete electrical interconnection with Uruguay. The project was initiated by the Brazilian and Urugayan governments last year, during President Dilma Roussef’s visit to Uruguay. Brazil Windpower will return to Rio de Janeiro from 29-31 August 2012 for its third edition. Brazil had a very active year in 2011, reaching the 1 GW milestone, and has a pipeline of more than 7,000 MW to be completed before the end of 2016. Siemens Energy has received another large order to build an offshore wind power plant in Germany. For the Amrumbank West project in the North Sea, the company is supplying 80 wind turbines, each with an output of 3.6 megawatts (MW) and 120 meter diameter rotor. The customer is Amrumbank West GmbH, a subsidiary of E.ON AG. With an installed capacity of 288 MW, this wind power plant will deliver clean energy for around 300,000 households when it goes online in 2015. This is Siemens’ seventh German order for offshore wind turbines. In 2011, 950MW of new wind capacity was added in Italy, roughly the same amount as in 2010. Since 10MW were dismantled, the cumulative capacity totalled 6,737MW at the end of 2011. The result is disappointing; given that many projects have been lining up for years for the approval process to be finalised. Indeed, the average time for the complete authorisation process is four years. There is currently a lack of new initiatives in Italy due to uncertainty that still prevails over the new regulatory framework and tariffs, which should enter into force in the beginning of 2013. Wind turbine manufacturers based in Spain warn of the risk of closing their factories and settling in other countries if the wind moratorium established in Royal Decree 1/2012 is extended. The industry, which currently provides employment to 30,000 people, needs a clear sign about the future. CG has been awarded the contract for the design, engineering, supply and installation of the Onshore and Offshore Substations at the 219 MW Humber Gateway offshore wind farm in the United Kingdom. Humber Gateway is a Round 2 Offshore Wind Project owned by E.ON. Wind energy is forecast to grow significantly in New Zealand. The Wind Energy Conference taking place in Hamilton from 2-4 April 2012 is your unique opportunity to discover the latest insights and information while meeting everyone from the wind energy industry. Brazil leads Latin America to a stronger position at the UN. The change of US position on Cuba will help US relations with the whole hemisphere. to open the UN General Assembly. “It is with personal humility, but with my justified pride as a woman, that I meet this historic moment,” said Rousseff as she opened the general debate. “I share this feeling with over half of the human beings on this planet who, like myself, were born women and who, with tenacity, are occupying the place they deserve in the world. I am certain that this will be the century of women.” —- Rousseff can also be found on the cover of this week’s Newsweek, with a profile by Mac Margolis. l aunched the Open Government Partnership (OGP) while in New York on Tuesday. The OGP’s goal is to give citizens tools to monitor elected leaders and achieve more transparent governance. Mexico is one of the additional six founding members and other Latin American countries that have pledged to sign on to the partnership are: Chile, Colombia, Dominican Republic, El Salvador, Guatemala, Honduras, Peru, and Uruguay. “This is a smart program for U.S. policy in the hemisphere and a great leadership role for Brazil to play,” reports Bloggings by Boz, who links to commitments and plans from Brazil, Mexico, and the United States. Colombia, a member of the Security Council, is very important in this because an attempt is being made to negate to the Palestinians a simple majority in the SEcurity Council in order to avoid a US veto. This attempt revolves around three Member States and Colombia is one of them. Rather then attending President Obama’s speech to the General Assembly, Mr. Netanyahu was at that time in a meeting with the President of Colombia promoting such a move. drilling for oil in the Florida Straits between the Florida Keys and Cuba as early as mid-December. It is estimated Cuba may hold anywhere from 5 billion to 20 billion barrels of oil in offshore reserves. We watched that program on Sunday, September 18th and it is crystal clear that the US has now to end the embargo on Cuba. We know that election season in the US has just started – but it seems that moves by President Obama on this issue would be right in place and would improve relations within the Western Hemisphere where all countries now side with Cuba. Afro Uruguayan CANDOMBE JAZZ music in Manhattan – July 15, 2010. The CANDOMBE JAZZ PROJECT (CJP) is a New York City-based ensemble playing Candombe, the Afro Uruguayan music tradition. CJP presents an exciting concert of original compositions by Sabrina Lastman, arrangement of oral tradition songs & music by renown Uruguayan songwriters. The CJP is comprised of Sabrina Lastman (voice/songs), Beledo (guitar/keyboard/electric bass), master of candombe Arturo Prendez (candombe drum/percussions), and special guest: Agrupación Lubola Macú. Candombe is a drum-based musical style of Uruguay that developed in the Rio de la Plata area – Buenos Aires & particularly in Montevideo – among the black slaves brought by the Spanish colony in the 18th Century. It is based on Bantu African drumming & other influences the African community received from the new environment they lived in. In Uruguayan culture this drum-based musical style is highly significant & extremely popular, going strong on the streets, halls & carnivals all over the country. Candombe is a three-part-drums-ensemble formed by the tambores called: chico, repique & piano. The music composed on the basis of this rhythm encompasses a range of styles like funk, jazz, rock & tango, among others. Sabrina Lastman is a New York based vocalist, performer, composer and educator born in Montevideo, Uruguay. Drawing from jazz, Latin American music, and contemporary music, often integrating extended vocal techniques, Sabrina concentrates her work on jazz projects -Sabrina Lastman Quartet, Candombe Jazz Project, Tango Jazz Duo- and the creation of interdisciplinary new music performances relating voice/sound/movement/visuals -Dialogues of Silence, On Becoming-. Sabrina has performed at Carnegie Hall, Classical Guitar Association of New York, Blues Alley Jazz, Blue Note, Museo del Barrio, Juilliard, New York University, CUNY and Queens Theatre, among others. She has played with Fernando Otero, Bakithi Kumalo, Tali Roth, Pablo Aslan, Emilio Solla, Gustavo Casenave, Pedro Giraudo, David Silliman, The M6, and Leonardo Suarez-Paz, among others. Her album The Folds of the Soul was nominated by the Graffiti Prize 2008 as one of the best jazz albums of the year. Sabrina has toured in Israel, Uruguay, Argentina, and the United States playing in many musical and interdisciplinary projects from Tango to New Music. She graduated from The Jerusalem Academy of Music and Dance in Israel. “Beledo is considered a real myth among Uruguayan music connoisseurs,” according to EL PAIS – Uruguay. Piano was Beledo’s first instrument, however, he became a guitar hero in his late teenage years captivating audiences in Uruguay and Argentina.. Later on, his fusion effort of the early eighties in South America was noticed in the U.S. in articles for the upcoming talents in GUITAR PLAYER magazine and JAZZIZ magazine. Arturo Prendez is a percussionist born in Montevideo, Uruguay into a family with deep musical roots. His inspirations came from his father, a well known drummer and percussionist in Uruguay, developing his love for the unique African rooted drumming style of Candombe at a very young age. He has performed and recorded with numerous international artists such as, Hugo Fattoruso, Oscar Feldman, Hiram Bullock, Yabor, Chico Nobarro, Ruben Blades, Ruben Rada, Tahna Running, Bakithi Kumalo, Guadalupe Reventos, Afro-dysia and Beledo, among others. Arturo is a Master Candombe drummer, and he is the Artistic Director of “Agrupación Lubola Macu”, a tambores ensemble playing Candombe. Teatro IATI | 64 East 4th Street, bet. Bowery & 2nd Ave.
Moving to the Semifinals – The World Cup has Turned into Europe’s Cup. I just watched Spain win in Johannesburg Ellis Park stadium, by 1:0 its game with Paraguay. This leaves Germany, Netherlands, Spain and Uruguay still standing, and we dare now to make our own predictions about the Semi-final and Final games. July 4th and 5th there are no games. Tuesday July 6th, in Cape Town’s new Green Point Stadium, Netherlands will play Uruguay and we predict a Netherlands win. Wednesday July 7th in Durban’s new Moses Mabhida Stadium, Germany will play Spain and we predict a German win. Saturday, July 10th in Nelson Mandela Bay/Port Elizabeth – The Port Elizabeth Stadium – we predict a Spain – Uruguay game and a Spain win for the third place in the 2010 World Cup. Sunday, July 11th in the new Johannesburg’s Soccer City Stadium near Soweto, in the iconic shape of the African calabash, there will be the final game of the 2010 World Cup. We predict that the game will be between Germany and The Netherlands – and we predict The German team wins. Above means that the final standing, we predict, will be: Germany, The Netherlands, Spain. An unexpected European ending of the 2010 World Cup that came about with the elimination of Brazil and Argentina in the quarter finals, and after the presence of five teams from the Latin American cone region among the 8 remaining teams when they entered the quarter-finals. Astonishing indeed. On the European side, the early elimination of France, England and Italy was also considered by many as surprising. A Disclaimer: The 2010 South Africa FIFA Football, though strange, but being still rather round, allows for the unexpected – so we take no responsibility for the case our predictions are duds! Do not blame us if you execute the wrong bets. Thinking of the changing fortunes of the World Cup – Argentina’s China dilemma was solved in Cape Town today by its 0:4 loss to Germany. President Cristina Fernandez de Kirchner will be able to go peacefully to Beijing July 13-15, 2010, rather then be involved with the July 11th finals of the World Cup and the contemplated victory celebrations at home. a short article by Jude Webber from Buenos Aires that appeared in the Financial Times (in print) of July 3, 2010. “”No one in Argentina wants the national team to fail to make the World Cup final – except, perhaps, the planners at the foreign ministry trying to get a visit to China back on track. Cristina Fernández, the president, abruptly cancelled a trip to Beijing in January at the height of a row over the use of central bank reserves to pay off debt because she did not want to leave her estranged vice-president in charge. The cancellation of the visit, in which she had been due to meet her counterpart Hu Jintao, went down like a tonne of bricks in Beijing and the ill-feeling was widely seen as contributing to China’s subsequent decision to tighten restrictions on imports of soya oil from Argentina, a key supplier. Ms. Fernández apologised profusely for the faux-pas and the trip was rescheduled – but officials in this football-mad country must have momentarily taken their eyes off the ball: the visit was rearranged for mid-July. That seriously complicates the presidential agenda: diplomatic sources expect Ms Fernández to attend the World Cup final on July 11, if Argentina make it. But that would mean she would have to race to China for a meeting now pencilled in for July 13-15, and would potentially miss being homecoming queen in Buenos Aires if Argentina triumph. Commentators are already speculating that Ms Fernández and Néstor Kirchner, her husband, predecessor and likely presidential candidate in 2011, are dreaming of appearing on the balcony of the presidential palace beside football legend Diego Maradona, the national coach. If Argentina win their third World Cup, a pragmatic solution is bound to be found, but Mr Kirchner knows first-hand the dangers of putting football over business: he once kept former Hewlett-Packard boss Carly Fiorina waiting because he was engrossed in conversation with Mr Maradona. The computer group reportedly returned the snub by switching key investments to Brazil. Having seen above article earlier today, that is before watching the Argentina-Germany game, played in Cape Town, on ABC in New York, I clearly thought of the political pickle the Kirchner Argentinian internal politics came up with because of some policy vision confusion. Please, you do not push around China when you want their money – just because of internal dissensions! With Germany and Argentina saying NO TO RACISM – on South Africa’s anti-racism day – the Argentinians in the crowd dancing to their anthem, and just about half of the Germans singing their anthem, under the watchful eyes of Chancellor Angela Merkel, present to encourage them, the game started very fast – and the first German goal came about after less then 6 minutes. The non-anthem singing members of the German team had names like Khedira and Boateng, but to my surprise I learned that even the Argentinians had an Ibrahim that was born in France, but clearly must have been of North Africa lineage. Whatever – this is the globalization of the football game that nevertheless is clearly anchored now in West Europe and in the Southern American cone. These games may now come up with a picture that further narrows it to one anchor – and it is Western Europe. But the last words were not said yet. What is clear nevertheless, is that Japan, China, the Koreas, or anyone else of Asia, will still have to practice for years before having an impact on the World Cup and in Europe the football field has lost some of its evenness – France, England, Italy were the early flunkies. But this article is really about China – and not because it is great in football. They surely have the money to buy players if they wish to do so. We rather believe they will develop a speedy game and enter it with their own people – but who knows? Surely they will not be left out for long. For one thing – Argentina could help by sending to them Diego Maradona and help this as a joint start-up effort. Maradona will not be needed in South Africa beyond today either. One Semfinal will be Netherlands – Uruguay. Brazil and Ghana are out. Brazil?? Ghana having missed by one shot at the gate of being the first African up there? PORT ELIZABETH, South Africa (AP) — Don’t call the Dutch underachievers anymore. Not after the way the Netherlands rallied to upset five-time champion Brazil 2-1 in the World Cup quarterfinals Friday. After waking themselves up at halftime, the title that has eluded the Dutch for all these years is now just two wins away. One of the shortest players on the field, Sneijder put the Netherlands ahead in the 68th minute on a header — a thrill so huge he ran to a TV camera, tapped the lens and stuck his face in for a close up. ”It just slipped through from my bald head and it was a great feeling,” Sneijder said. He was in the middle of the post-game party, too, as his teammates swarmed him when the final whistle blew. John Heitinga picked up Sneijder and slung him over his shoulder as Netherlands captain Giovanni van Bronckhorst, a Brazil shirt in hand, leaped up and rubbed Sneidjer’s closely shaved head. The result was a case of role reversal for both sides. The top-ranked team in the world and one of the most impressive squads in the tournament until Friday, Brazil lost its composure after falling behind and defender Felipe Melo was ejected in the 73rd minute for stomping on the leg of Arjen Robben. The Dutch made the championship match in 1974 and ’78, lost both, and rarely have lived up to their talent in other World Cups. They did this time, helped by an own goal off the head of unfortunate Felipe Melo that brought them into a 1-1 tie in the 53rd. ”I’m devastated. It was hard to see the players crying back there,” Felipe Melo said after emerging from the locker room. He was almost the hero. Robinho gave the Brazilians the lead on Felipe Melo’s brilliant low pass up the middle of the field that the striker put home with a low shot. But the second half presented the unusual sight of the Brazilians scrambling wildly to find an equalizer. Instead, it was the Oranje and their fans doing the dancing as Brazil’s players lay on the turf. Brazil also lost in the quarterfinals four years ago, falling to France 1-0. Former team captain Dunga was hired to coach the team after that defeat, despite having no previous managerial experience. Netherlands coach Bert van Marwijk agreed that everything changed at the break. The Netherlands reached the semifinals for the first time since losing to Brazil on penalty kicks at the 1998 World Cup, and will next face either Uruguay or Ghana, which play later Friday. Having won all five matches so far, the Netherlands extended its team-record unbeaten streak to 24 games, stretching back to a September 2008 loss to Australia. On a warm afternoon before a sellout crowd of 42,286 at the Nelson Mandela Bay Stadium, Brazil controlled the tempo early on. Before the Dutch comeback, goalkeeper Maarten Stekelenburg timed his leap perfectly to deflect a shot by Kaka that was headed into the right corner of the net. The one-goal lead wasn’t enough. Brazil began to unravel when Felipe Melo jumped in front of keeper Julio Cesar and inadvertently headed the ball into his net. ”We had two players going for the same ball and what happened happened,” Julio Cesar said, his eyes filled with tears. Sneijder’s goal followed a corner kick from Robben. Dirk Kuyt flicked the ball with his head to Sneijder in the middle of the 6-yard box and he rose high enough to deflect it into the left corner of the goal. For once straight red card + penalty kick doesn’t seem like a harsh enough penalty. Surely thought shot was going straight in for the victory if the Uruguayan player didn’t punch it off the line, and now the handball’s giving Uruguay a chance to win it in penalties. He’s right — to get thrown out at the end of the game, as Suarez was, means little, and of course, to stop a certain goal and replace it with a penalty kick … well, shouldn’t that just be an automatic goal? But that’s not the rule. I really don’t know what to feel right now. So much happened at the end. Uruguay still amaze, with all they’ve accomplished over the years. But Ghana, the bright, charismatic hope of Africa, snuffed out. It’s all too much. All I can say is, stay with this blog for more incredible action tomorrow, with Argentina-Germany and Spain-Paraguay. We’ll have both of them for you here, live. Thanks, everyone, for reading along and sending in your comments. Cheers! The whole continent behind Ghana, but such horrible disappointment! A penalty at the end of extra time, but Baby Jet Gyan shot it off the crossbar! And then the penalty-kick contest, but it is Uruguay who prevail. The Charruas, who put South Africa out with a 3-0 win in the group stage, now have put out another African side, Ghana. Such joy for brave little Uruguay, but such cruel deception for proud Ghana, and all the fans across the continent. Unbelievable |Little Uruguay victorious! Ghana in tears! The Black Stars inconsolable! The Charruas rejoicing! Incredible scenes at Soccer City … Africa, finished at this tournament! El Loco, the man whose penalty against Costa Rica in qualifying got Uruguay into the World Cup, gets the Celeste into the semifinals against the Dutch! PROSPECTS AND CHALLENGES FOR TECHNOLOGY ADVANCEMENT IN THE AMERICAS – a panel at the Americas Society, Council of the Americas, New York City Headquarters. This turned out to be an amazing meeting – in effect it made clear what sham comes out at UN Press Conferences when the relevant questions are not being asked. A COMMENT NOT ABOUT THE AMERICAS. The Moderator was Christopher Sabatini, Editor-in-Chief of Americas Quarterly, and his panel included Evan Hansen of Wired.com, Matt Keller of “One Laptop per Child, Tarkan Maner, of private sector Wyse Technologies, and Eduardo Saravia of Telefonica International USA. The question was: What does the IT Revolution mean for Latin America and the talk was of public-private coalition building. Hansen spoke of broadband that allows direct provider – consumer relations. With his laptop the consumer can go directly to networks without a provider. Up to now it was all a provider world. The idea is to have a National Wifi program. Maner pointed out that it is important it be for profit. In India – the gov’t connects rural areas via the internet. Mat Keller showed us his small computer that costs $180, an is ntended for the children in poor countries. You can buy one here by donating one to a developing country child! The child ends up teaching the parents how to use technology and they get this way the information to change their world. The project is helped by the UN. Saravia said that Telefonica is the largest investor in LA. More then the oil sector. Telefonica works in 25 countries of which 15 are in LA. The head corporate office is in Uruguay. 75% of the phone company is now wireless – everything based on a single line – a cable – he called wireless. The questions were mainly addressed to Mr. Keller. There was a lot of “leapfroging” notion. I asked what about the countries that do not want to let their people get secular education? There must be a solid number of such countries at the UN? He told me that 750,000 of his computers are in Peru, Uruguay wants to get one million, the Kurdish area in Iraq wants 600,000. As well, Rwanda has 100,000. Ghana, Afghanistan, Sri Lanka, Haiti, Cameroon, Ethiopia, Nepal got computers, Palestine wants computers. Though manufactured in China – the Chinese did not distribute these computers to their children. It also became clear, that except for Afganistan, Iraq, and Palestine, all countries that sort off became westernized by military intervention, no other Islamic countries allowed for any involvement with these computers. So, the clear answer is that China or Traditional Islamic countries, just have no interest in raising the level of their children, or in effect of their whole poor sector, above the present level of subservience to their home grown top societies. I must say that this meeting turned out much more information then it was designed to do – we would like to see the conclusions I reached here get the appropriate sounding out at the UN. It is just so much rubbish one can absorb at meetings of the UN Department of Public Misinformation. One has indeed to go outside that compound in order to obtain the correct information from the same people that are being paraded before the UN Press that does not want, is not allowed, or do not know to ask the correct questions. The headquarters are at 1 Cambridge Center, 10th floor, Cambridge, Massachusetts, 02142 USA. Matt Keller himself is Director of Europe, Middle East & Africa of that effort. IPS Presents The Latin Position In The Current Global Economic Turmoil. By Mario Osava from Brazil, October 29, 2008. RIO DE JANEIRO, Oct 28 (IPS) – The reaction by South America’s Mercosur trade bloc to the current global financial crisis is limited for the time being to observing “possible impacts” on stock markets, production and unemployment, and “maintaining fluid and agile communications” regarding any measures taken by each member country. The bloc convened its Common Market Council — composed of the members’ ministers of economy and foreign affairs and their central bank presidents — Monday in the Brazilian capital, to discuss the crisis and how they could act to mitigate its effects. Mercosur (Common Southern Market), South America’s biggest trade bloc, is made up of Argentina, Brazil, Paraguay and Uruguay, with Venezuela in the process of becoming the fifth full member. The proposals presented at the Seventh Extraordinary Meeting of the Council will be considered, along with future recommendations, at a new meeting scheduled for Dec. 15, on the eve of the Latin American and Caribbean Summit organised by Brazil for Dec. 16-17 in Salvador, capital of the northeast state of Bahi a.
Brazil suggested calling a ministerial meeting of the United Nations Economic and Social Council (ECOSOC), which this country’s diplomats are seeking to strengthen, while Venezuela, for its part, proposed a world summit of heads of state and government, according to the joint press release issued by the Common Market Council. Chilean Foreign Minister Alejandro Foxley was in favour of the Group of Eight (G8) most powerful economies increasing the capital of multilateral development and financial institutions, in particular the Inter-American Development Bank, to provide assistance to Latin America. With the presence of representatives from the bloc’s full and associate members, in addition to observers from Guyana and Suriname, the meeting included delegates from all of South America. The consensus expressed in the final statement underlines “the need for an in-depth and comprehensive reform of international financial structures” and “establishing more prudent regulations for capital markets.” The Council also called for a “balanced” conclusion of the World Trade Organisation’s (WTO) Doha Round of multilateral trade talks, which was suspended indefinitely in July after failing to reconcile differences between negotiators, in particular, India and the United States. The Mercosur statement admits that today South America is “better prepared than in the past” to face a financial crisis, thanks to its “sound macroeconomic fundamentals.” Strengthening integration, expanding trade and enhancing financial cooperation in the region could prove “crucial” to “preserve and further the economic and social gains made in recent years,” it adds. “Fortifying our integration will lessen the impact of the crisis” by maintaining trade and capital flows, Brazilian Foreign Minister Celso Amorim said at a press conference after the meeting. Foxley rejected “protectionist policies” as a way to respond to the crisis, arguing that they would only exacerbate social problems. Brazilian Senator AloÃ­sio Mercadante, an economist with the governing Workers’ Party (PT), warned against protectionist temptations, arguing that individual solutions are no solution at all. The statements by the Brazilian and Chilean authorities were aimed at the Argentine government, which tends to respond with tariffs, as it has on several opportunities in the last few years, to defend its market from being flooded by imported goods. One of the proposals put forward by Buenos Aires was an increase in the Mercosur Common External Tariff. The steep depreciation of the Brazilian real, which has fallen more than 30 percent against the dollar since August, heightened Argentina’s fear that the imbalance in bilateral trade will worsen. From January to August, Brazil had a 3.6 billion dollar surplus in its trade with Argentina, a 40 percent increase as compared to the same period of 2007, despite the growing overvaluation of Brazil’s local currency, a trend that has been reversed since August. Mercosur “should adopt common decisions,” but if is unable to, it should at least establish “guidelines” of some sort for the measures implemented by each country to counter the effects of the financial crisis that originated in the United States, Tullo VigÃ©vani, director of the School of Philosophy and Sciences at the Sao Paulo State University, told IPS. Today the situation is more severe, with the Mercosur integration process largely stagnant, but the member countries now understand that integration is key to achieving individual development and “they must also realise that preventing the weakening of each and every member is in everyone’s interest,” said VigÃ©vani. The international affairs expert, who closely follows the Latin American integration process, noted that an agreement signed by Mercosur in 2005 stipulates the principle of balanced commercial relations between members of the bloc. The present crisis and the depreciation of the real could turn out to be an opportunity to set limits for trade imbalances, such as a “band” of tolerance and countervailing measures in favour of the country suffering the deficit, he said. The greatest obstacle to such a strategy is that an economic slowdown in Brazil, expected to set in next year as a result of the global financial turmoil, will have a brutal effect on neighbouring countries with much smaller economies, while the South American giant will barely feel any repercussions from their troubles, he observed. September 11, 1973, that is 35 years ago, Salvador Allende of Chile Was Deposed With The Help of the US CIA That Then Financed 17 Years Of Dictatorship By Chilean Military – That is the 9/11 Most Remembered In Latin America. Thirty-five Years Ago, Latin America Experienced Its Own September 11.
by: Teo Ballve, Colombian Writer, The Progressive, September 9, 2008. In 1970, Salvador Allende became the democratically elected president of Chile. On Sept. 11, 1973, the Chilean military, supported by Washington, overthrew Allende and in his place a US-financed 17-year regime of terror took over. Latin America, which experienced its own September 11 thirty-five years ago, is no longer under Washington’s thumb. On Sept. 11, 1973, the Chilean military, supported by Washington, overthrew the democratically elected president of Chile, Salvador Allende. It was a day that was burned in the memories of millions of people across the continent. Allende had come to power in 1970 as a democratic socialist, and his victory raised hopes among Latin Americans that peaceful social change was possible. But three years later, when military tanks and fighter jets blasted the presidential palace where Allende had taken refuge, those hopes were dashed. Allende took his own life during the attack, and in his place a U.S.-financed 17-year regime of terror took over. The junta, led by Augusto Pinochet, murdered more than 3,000 people and tortured and detained thousands more. Now, 35 years after Allende’s overthrow, a lot has changed in Latin America. For starters, Chile’s current president (Michelle Bachelet) is not only a woman, but also a member of Allende’s Socialist Party. And Washington, once the unofficial arbiter of the politics and economies of Latin America, has been sidelined, as progressive reformers have claimed victory in an ever-growing number of countries. The political waters began turning in 1999 in Venezuela. The country’s leftist president, Hugo Chavez, came from the most unlikely of sources: the military. Today, left-leaning leaders control almost every country of South America. These leaders are by no means a uniform bunch. But they all share the popular mandate of addressing the needs of the most disadvantaged citizens of Latin America, where nearly half the population of 550 million lives in grinding poverty. Fulfilling campaign promises, many of these leaders have defied Washington’s economic and political strictures – first introduced in post-Sept. 11 Chile – in trying to lift millions out of poverty. Bolivia’s Evo Morales and Ecuador’s Rafael Correa have moved to take a larger share of profits from their nations’ vast oil and gas reserves to reinvest the money in anti-poverty programs. Morales also plans to use windfall gas profits in Bolivia – the poorest country in South America – to strengthen its faltering social security system. Brazilian President Luiz Inacio Lula da Silva, a former union organizer, has similar plans for the profits expected from newly discovered massive oil reserves. Despite persistent U.S. meddling, it’s hard to see how Washington could once again so recklessly block the desperately needed reforms now sweeping Latin America. When it has recently tried to impose its will, Latin American governments have fended off Washington by banding together. The region’s new leaders finally are implementing policies that make real improvements in people’s lives. Allende tried to do so, but he was not allowed to see them through to fruition. From his tragedy, new hope has arisen. Teo Ballve is a freelance journalist and editor based in Colombia. He can be reached at pmproj at progressive.org. Federico Mayor (Spain) To Follow Mario Soares (Portugal) as Chairman of the Board of The IPS International Association – a Media Outlet that Emphasizes Development and is now directed by Mario Lubetkin (Uruguay). Inter Press Service News Agency (IPS), the world’s leading provider of information on global issues, is backed by a network of journalists in more than 100 countries. Its clients include more than 3,000 media organizations and tens of thousands of civil society groups, academics, and other users. Rome, Italy, is where the headquarters are. Much of the news come from the 4th floor of the UN Headquarters in New York. Today’s News from IPS in its Media Section – MEDIA: IPS Has New Chairman. ROME, Jun 25 (IPS) – The IPS International Association has chosen Federico Mayor as new chair of its Board of Directors. He replaces Mario Soares, former President of Portugal (1986-1996), who has been guiding the IPS Board since 2002. IPS also elected its Board of Trustees, which includes two former U.N. secretaries general, Kofi Annan and Boutros Boutros-Ghali; two former presidents, Mario Soares (Portugal) and Martti Ahtisaari (Finland); two former prime ministers, Toshiki Kaifu (Japan) and Inder Kumar Gujral (India); and IPS founder Roberto Savio. Federico Mayor, born in Spain in 1934, served as Director General of the Paris-based United Nations Educational, Scientific and Cultural Organisation (UNESCO) from 1987 to 1999. Mayor was earlier a member of the Spanish Parliament (1977-1978), Minister for Education and Science (1981-1982) and member of the European Parliament (1987). After deciding not to run for a third term at UNESCO, he returned to Spain in 1999 to create the Foundation for a Culture of Peace. In 2005, the United Nations Secretary-General designated Mayor as Co-President of the High Level Group for the Alliance of Civilisations. He is also member of the Honorary Board of the International Coalition for the Decade for the Culture of Peace and Non-Violence. Mayor, who has worked on peace-related issues for more than 30 years, says the role of a news agency such as IPS in promoting peace is “essential, because the media power today is enormous, and we receive much partial and biased information. “It is time for action and change, and to transform reality we must know reality in-depth,” he told IPS. During his 12 years as head of UNESCO, Mayor’s work focused on the promotion of peace, tolerance, human rights and peaceful coexistence. Under his guidance, UNESCO created the Culture of Peace programme aimed at education for peace; human rights and democracy; the fight against isolation and poverty; the defence of cultural diversity and intercultural dialogue; and conflict prevention and the consolidation of peace. Access to independent information can make a strong contribution to handling the world’s conflicts, he said. “It has been misleading information that has led to war and invasions such as the one of Iraq. “The present crisis shows how far unrestricted freedom of expression and media pluralism are crucial to overcome the present situations, particularly the food crisis, and start the process for the other possible world of which we dream,” Mayor said. The recent triennial election of the IPS International Association appointed Mario Lubetkin Director General of IPS for a third term. A Uruguay born journalist, Lubetkin has served as correspondent for several Italian and Latin American print media, and as communications adviser for various U.N. agencies and regional integration organisations in Latin America. “The key challenge before IPS today is to strengthen its role as a leading news agency covering all development and civil society issues. But our aim is also to get deeper analysis of globalisation’s impact, particularly from the South perspective,” Lubetkin said. The IPS International Association also elected a new 16-member Board of Directors, with a geographical and gender balance. The Board includes journalists, academics, communications experts, and specialists in international cooperation. MIDEAST: Israelis Assault Award Winning IPS Journalist. GAZA CITY, Jun 28 (IPS) – Mohammed Omer, the Gaza correspondent of IPS, and joint winner of the 2008 Martha Gellhorn Prize for Journalism, was strip-searched at gunpoint, assaulted and abused by Israeli security officials at the Allenby border crossing between Jordan and the West Bank on Thursday as he tried to return home to Gaza. Omer, a resident of Rafah in the south of Gaza, and previous recipient of the New America Media’s Best Youth Voice award several years ago, was returning from London where he had just collected his Gellhorn Prize, and from several European capitals where he had speaking engagements, including a meeting with Greek parliamentarians. Omer’s trip was sponsored by The Washington Report, and the Dutch embassy in Tel Aviv was responsible for coordinating Omer’s travel plans and his security permit to leave Gaza with Israeli officials. Israel controls the borders of Gaza and severely restricts the entrance and exit of Gazans allegedly on grounds of security. Human rights organisations accuse the Israelis of using security as a pretext to apply collective punishment indiscriminately. While waiting in Amman on his way back, Omer eventually received the requisite coordination and security clearance from the Israelis to return to Gaza after this had initially been delayed by several days, he told IPS. Accompanied by Dutch diplomats, Omer passed through the Jordanian side of the border without incident. However, after arrival on the Israeli side, trouble began. He informed a female soldier that he was returning home to Gaza. He was repeatedly asked where Gaza was, and told that he had neither a permit nor any coordination to cross. Omer explained that he did indeed have permission and coordination but was nevertheless taken to a room by Israel’s domestic intelligence agency the Shin Bet, where he was isolated for an hour and a half without explanation. “Eventually I was asked whether I had a knife or gun on me even though I had already passed through the x-ray machine, had my luggage searched, and was in the company of Dutch diplomats,” Omer said. His luggage was again searched, and security then proceeded to go through every document and paper he had on him, taking down the names and numbers of the European parliamentary officials he had met. The Shin Bet officials then started to make fun of the European parliamentarians, and mocked Omer for being “the prize-winning journalist”. The Gazan journalist was repeatedly asked why he was returning to “the hell of Gaza after we allowed you to leave.” To this he responded that he wanted to be a voice for the voiceless. He was told he was a “trouble-maker”. The security men also demanded he show all the money he had on him, and particular attention was paid to the British pounds he was carrying. His Gellhorn prize money had been awarded in British pounds but he was not carrying the entire sum on him bodily, something the investigators refused to believe. After being unable to produce the prize money, he was ordered to strip naked. “At first I refused but then I had an M16 (gun) pointed in my face and my clothes were forcibly removed, even my underwear,” Omer said. At this point Omer broke down and pleaded for an end to such treatment. He said he was told, “you haven’t seen anything yet.” Every cavity of his body was searched as one of the investigators pinned him down on the floor, placing his boot on Omer’s neck. Omer began vomiting, and fainted. When he came round his eyelids were being forcibly opened and his eardrums probed by an Israeli military doctor, who was also armed. He was then dragged along the floor by his feet by the Shin Bet officials, with his head repeatedly banging on the floor, to a Palestinian ambulance which had been called. “I eventually woke up in a Palestinian hospital with the doctors trying to reassure me,” Omer told IPS. The Dutch Foreign Ministry at the Hague told IPS that Foreign Minister Maxime Zerhagen spoke to the Israeli ambassador to The Netherlands and demanded an explanation. The Dutch embassy in Tel Aviv has also raised the issue with the Israeli Foreign Ministry, which in turn has promised to investigate the incident and get back to the Dutch officials. Ahmed Dadou, spokesman from the Dutch Foreign Ministry at the Hague told IPS, “We are taking this whole incident very seriously as we don’t believe the behaviour of the Israeli officials is in accordance with a modern democracy. “We are further concerned about the mistreatment of an internationally renowned journalist trying to go about his daily business,” added Dadou. A spokeswoman at the Israeli Foreign Press Association said she was unaware of the incident. Lisa Dvir from the Israeli Airport Authority (IAA), the body responsible for controlling Israel’s borders, told IPS that the IAA was neither aware of Omer’s journalist credentials nor of his coordination. “We would like to know who Omer spoke to in regard to receiving coordination to pass through Allenby. We offer journalists a special service when passing through our border crossings, and had we known about his arrival this would not have happened. The Philharmonic Orchestra Of The Americas Appears at NY Philharmonic Hall Before The Americas Society and Other Congniscenti who Listened and Saw the Tambuco Percussion Ensemble and Listened To The Four Mexican Noches of Silvestre Revueltas, The Garbage Concerto of Jan Jarvlepp, and The Fanfaria of Eduardo Gamboa. Notes from the Americas Society, the host to an extremely interesting one-night event at New York City Philharmonic’s Hall. That was last night, Friday June 6, 2008. But the event actually started already on Tuesday June 3, 2008, at the Park Avenue home of Americas Society. We usually go to meetings of a political/economic nature relating what goes on in the Southern half of the Western hemisphere – sometimes there is also an event in Canada that gets looked at by the Americas. But this is not all. The founders of the organization also understood that culture is an important ingredient of what makes up the politics, and if you are interested in the economics, you might as well get some idea of the culture and the people in whose backyard you intend to set up your operations. Oh yes – like most such institutions, Americas Society has backing in the corporate world. That is why we find it nevertheless justified to look at this extraordinary event that would not have happened in New York unless for the Americas Society. On Tuesday we saw the Tambuco percussionists with no instruments at all – just their hands – palms, fingers – coaxing out in unison sounds from the top of a simple black table. That is something you can even do now in a music hall as it was done, we are sure, by basic humans eons ago when they developed the sense of music. We just forgot our basic human nature and believe that we must have an expensive Stradivarius or a Steinway and if we do not afford it we think we cannot make music. Do I hint here something about sustainability? I really do not know, but it seems that there always are young folks among us that deviate from the norms we set them and end up being the new composers that will be in due time the new classics – and please no giggling because I am indeed serious of what I write here. The Friday night performance was in ways similar to the two Metropolitan opera performances we reviewed this year – the Satyagraha and the First Emperor. Now Why do I say this? The Program included in its second half material from a 1939 composition for a pre WWII Hollywood movie “La Noche de las Mayas.” The music evoked Mexican folk tunes that were a new thing for the audience of that time, but much more of common knowledge today. Even so, seeing the music treated by the enthusiastic orchestra led by a pony-tail wagging very enthusiastic young lady, provide also the visual effects of enchantment. As it was in effect a gala evening, the atmosphere was high and the pouring applause brought fore two encores. The stars were obviously the collection of percussion instruments of the Tambuco-four and the way how they interact among themselves and the way Alondra made them blend with the large orchestra were achievements that deserve repeat performances. Ambassadors Hector Timerman of Argentina, Mariano Fernandez of Chile, and Carlos Alberto Gianelli of Uruguay, Are Now Posted To Washington, But Have Personal and Family Experience In Being Persecuted At Home By A Dictatorship With US Ties. This Makes For Their Keen Interest To See Real Improvement In The South American Cone Region, and In Efforts To Show Democracy Is Worthwhile. Ambassador Hector Timerman, Hardened In The ‘Dirty Wars’ – Argentina’s New Envoy to Washington – Occupies the Office of a Man He and His Father, Jacobo, Once Openly Fought Back In Buenos Aires. By Nora Boustany, Washington Post Foreign Service, Tuesday, April 8, 2008. Outside the office of Hector Timerman, Argentina’s new ambassador to Washington, across from an oval ballroom, are photographs of his 50 predecessors. Jorge A. Aja Espil gazes sternly from one of the chipped, pale green walls. An ambassador during Argentina’s military dictatorship, Espil represented and defended the government that went after an outspoken newspaper mogul, Jacobo Timerman. Hector, 54, is his son. As a human rights activist 20 years ago, Hector Timerman dueled openly with Espil in the American press through fiery letters and indignant rebuttals. Timerman sought to expose in writing, as had his father, the system that abducted, imprisoned, tortured and killed thousands of Argentines. When Timerman took up his post last month, his first instinct was to tear down Espil’s portrait. But as he made courtesy calls to other Latin American ambassadors, he discovered a source of healing in the turmoil that had also shaped their journeys. Some of his counterparts had also survived coups and despotism. They had suffered grave solitude as outcasts or were the descendants of men persecuted for their principles. Among them were Chilean Ambassador Mariano Fernandez, who as a diplomat in Bonn was exiled in 1973 and then worked as a journalist while fighting the dictatorship of Gen. Augusto Pinochet, and Uruguayan Ambassador Carlos Alberto Gianelli, nephew of the late Wilson Ferreira Aldunate, a leading politician who fled his country’s military coups. “When I met these ambassadors, I remembered my father,” Timerman said. “We were all political refugees. Now as envoys here, we represent the best values of our generation. The story of Jacobo Timerman, the publisher of La OpiniÃ³n, kidnapped from his home on April 15, 1977, and ruthlessly tortured, became a symbol of Argentina’s human rights abuses and the horrors of the “dirty war” waged by the junta from 1976 to 1983. For publishing the names of thousands of citizens who had vanished into Argentina’s labyrinth of cells and torture chambers, Jacobo Timerman himself became desaparecido, or disappeared . Two weeks before his father was kidnapped, Timerman, then 22 and an apprentice at La OpiniÃ³n, attended a meeting with Patt Derian, the U.S. assistant secretary of state for human rights. In an e-mail, Derian recounted how she had asked the elder Timerman why he had stayed in Argentina despite bomb threats against him and his staff. He explained that when he was a child, his family was forced to leave Russia. “I promised myself that I would never leave my new homeland,” she said he told her. The young Timerman took over the newspaper. He went from one police station to another trying to learn his father’s whereabouts. Asked to pay for information, he was bilked for cash with false claims that his father needed clothes and medication in jail, he said. “Hector was very courageous,” recalled Mario del Carril, a former journalist and philosophy professor. “He stuck it out despite the bomb threats to the paper” until the publication was confiscated with the rest of the family’s property. When Timerman was finally allowed to see his father in jail, he found him emaciated and frail from electric shocks and a poor diet. The U.S. Embassy, where he had once protested U.S.-backed Latin American dictatorships, became a place he sought advice. When warned that he, too, was in danger, Timerman went to Brazil and then Israel before ending up in New York. In the United States, he spoke at synagogues and to human rights groups. He asked for help from State Department officials. He managed to line up support for his father’s release from seven influential U.S. senators. Jacobo Timerman was freed after 30 months in detention, stripped of his nationality and deported to Israel. He eventually returned to Buenos Aires, where he died in 1999. Hector Timerman wrote articles and hosted television debates after his return to Argentina in the 1980s, once democracy was restored. He lectured on human rights and helped found Human Rights Watch. His work as ambassador began March 8. He and his wife, Annabel, an architect and winemaker, have two grown daughters. Sitting in the same sun-drenched office that Espil once occupied, Timerman pursues an agenda focused on easing tensions between the United States and Argentina and persevering in the fight to bring to justice those who tortured his father and others. Last year, he filed a lawsuit against police chaplain Christian von Wernich in the torture of his father. Von Wernich, the first Roman Catholic priest prosecuted for crimes committed during Argentina’s dictatorship, was found guilty of involvement in seven murders and in numerous torture cases and kidnappings. Timerman is now suing seven civilians for human rights violations. Assistant Secretary Of State Tom Shannon, Speaks out Prior To The President’s Trip To Latin America. Dr. Tom Shannon, participated for the US at the UN launching of the Ethanol Forum. He is the head of the US activities in Latin America/ The Western Hemisphere. Before starting on the President’s trip he made himself available to questioning by the pres and the public at large. We are sorry to note that he had very little to say on the ethanol topic. Welcome to “Ask the White House” — an online interactive forum where you can submit questions to Administration officials and friends of the White House. Visit the “Ask the White House” archives to read other discussions with White House officials. Thank you for joining me today. As you may know, President Bush, Secretary Rice, and I depart tomorrow to Brazil, Uruguay, Colombia, Guatemala and Mexico. This will be the President’s 8th trip to Latin America â€“ more than any other President in the history of the United States. We look forward to meeting with our counterparts and discussing how we can work together to strengthen democracy and address important social issues such as poverty, inequality, and social exclusion. I look forward to taking your questions. Mr. Shannon, What details can you give on the emerging ethanol partnership with Brazil, and how does that figure into President Bush’s greater diplomatic strategy for Latin America and the Caribbean? Although we have not yet concluded a formal agreement, the U.S. and Brazil, the world’s two largest producers of biofuels, are discussing how we might deepen our bilateral cooperation to encourage local biofuels production and consumption in some of the most vulnerable economies of the Caribbean and Central America, countries which typically depend entirely on imported energy. We are also looking at ways to encourage the development of common international standards and codes for biofuels and considering ways to promote information sharing. Through our cooperation we hope to spur greater economic and social development in the region, encourage new investment and boost job growth. This cooperation will contribute to hemispheric energy security. This in turn will support our national effort to promote a more democratic and prosperous Western Hemisphere. we are all very excited that the president will be visiting our country. but what exactly will his commitment to the latin american regions be? As the President outlined in his speech earlier this week, this trip will renew his connection with a region that has made great strides toward freedom and prosperity by raising up new democracies and enhancing and undertaking fiscal policies that bring stability. Despite the advances, however, tens of millions in our hemisphere remain stuck in poverty, and shut off from the promises of the new century. The working poor of Latin America need change, and the United States of America is committed to helping to increase opportunity for all of the citizens in the hemisphere by relieving debt and opening up trade, encouraging reform, and delivering aid that empowers the poor and the marginalized. I am supporter of our President, and I wanted to congratulate this administration for seeing the need to visit Latin America, in particular Guatemala, as the region needs the support, investment, and cooperation from the United States. It is very pleasing that our government is creating more dialogue with the region in order to better the region’s stability, economic prosperity and the bilateral relations among both countries. Immigration (deportations, TPS, comprehensive reform), increased economic relations (investment, development, adjustment assitance from TLC, etc), are the main issues I would like to see this government address and carry out. I feel that this will help gain more support from the country’s opposition and further improve bilateral relations. My question is what real or concrete measures will the President and his administration carry out on these issues, in order to gain even more support in the region? I want to end on this, Guatemalans are pro-democracy, pro-America, pro-prosperity. Will the U.S. work more diligently with our counterparts to achieve these goals? The President has visited Latin America many times, but this will be his first visit to Guatemala. With CAFTA underway, we are already seeing the positive impact in Guatemala through increased foreign investment and job creation. President Bush will visit Chimaltenango to see for himself the positive impact it is having. President Berger’s government is also hard at work on its efforts to meet the requirements for a Millennium Challenge program as its neighbors in Honduras, Nicaragua, and El Salvador have already done. President Bush remains committed to comprehensive immigration reform that includes a temporary worker program that would allow Guatemalans and others to work legally here in the United States. Finally, I think that there is broad recognition that security issues throughout Central America must be confronted, but have to be addressed comprehensively. CAFTA and other development-focused initiatives can help address some of the underlying causes of crime and insecurity, but they have to be accompanied by concrete, practical improvements in the areas of law enforcement and judicial reforms. In Guatemala and throughout Central America, we work closely with governments to support these efforts through the International Law Enforcement Academy (recently established in El Salvador), Law Enforcement Development programs that improve technical skills for police forces, and prevention programs designed to keep vulnerable youth out of gangs. How will the President handle the thorny issue of Venezuela during the trip, especially as Hugo Chavez tries to thwart the visit with his own travel in the region and with his bombastic rhetoric? This trip is about deepening U.S. relations with those countries that want to work with us. The President will be meeting with presidents whose governments span the political spectrum. From our point of view, we will work with any government â€“ be it left or right â€“ that shares our commitment to democracy and open economies. With these countries, we share a common desire to work together to create jobs, reduce poverty and social exclusion and ensure that all citizens enjoy the benefits of good government. The president is going to Latin America to underscore the commitment of the United States to the hemisphere and to highlight our common agenda to advance freedom, prosperity and social justice. On this trip the president will emphasize the importance of delivering the benefits of democracy to all of the citizens of the hemisphere, particularly in areas of health, education and economic opportunity. Both the United States and Brazil recognize that the world needs to reduce its dependency on fossil fuels. At present we are discussing ways in which we might cooperate to encourage local biofuels production for local consumption in some our hemisphere’s most vulnerable economies. Diminishing dependence on imported oil by substituting biofuels for hydrocarbon imports has the potential to relieve financial pressure on fragile developing countries, increase investment and boost jobs. In short, it will contribute to hemispheric energy security. President Bush has established ambitious goals for biofuels production in the United States but our discussions with Brazil have focused on international cooperation and information exchange. We are not discussing trade or tariff issues with respect to the U.S. market. Meninos de Morumbi is a great group. I have visited the Meninos twice, once with Secretary Powell and again with Under Secretary Karen Hughes. I hope the President has an opportunity to visit Meninos. Many people feel that the U.S.A. has neglected Latin America during this administration due to many reasons, including 911, the war etc. These people also feel that this will come back to haunt the U.S.A. through various manifestations because during this time Latin America has transformed a lot (i.e. general political shift to the left for many countries etc.). Also, Mexico, who once had a major influence in the region, has lost most of its influence because of its close relationship with Washington; therefore, not even Mexico can assist the U.S. improve its image with other L.A. countries. Basically, what I am getting at is that by going to far away lands to fight two wars, the back door to the U.S.A. have been left opened. What are your thoughts about these concerns many people worry about? Oh, what about the NAFTA SPP, is NAFTA moving towards increased integration? I am all for it, I believe this increased integration will only make the U.S.A. stronger and be a counterbalance to the EU and China. Those of us who work full-time on Latin America and the Caribbean do not believe that we have ignored it. The President has made eight trips to Latin America and almost doubled U.S. foreign assistance to the region. As important as we view our relations with South and Central America, we are also working to deepen our cooperation in North America with Mexico and Canada. The establishment of the Security and Prosperity Partnership (SPP) is evidence of our commitment. The SPP is aimed at making North American economies more competitive in world markets, and to protect our prosperity and democratic institutions from terrorist attacks. Together, the three countries of North America are building resilient societies that protect and promote our democratic values. Is Mr. Bush visting Latin America to discuss the Free Trade Agreement of Americas? The purpose of the visit is talk with our friends about bringing the benefits of democracy to all of our citizens. The emphasis will be on creating jobs, improving education, and improving health care for the 200 million Latin Americans who live in poverty. Trade is an important engine of economic growth, but we recognize that our conversation has to be broader than trade if we are going to help our friends meet their social and economic development challenges. Why doesn’t the US play a major role in Latinamerica? Specially when it had a closer relationship with former governments in the area. Unfortunatelly, nowadays this continent is suffering the epidemic of populist rulers, but not long ago we had liberals ruling our countries. Don’t you think you didn’t pay attention to this part of the world and now is late? The United States continues to be deeply engaged in Latin America. Since President Bush took office traditional U.S. assistance to the region has nearly doubled. In addition the United States has introduced new programs like the Millennium Challenge program which has so far awarded an additional 866 million dollars to Honduras, Nicaragua and El Salvador as well as smaller preparatory programs in several other countries. The U.S. has also concluded a number of new free trade agreements with countries of the hemisphere and these are already showing very encouraging results. Interestingly, last year virtually every country of the Americas experienced economic growth. The challenge now is to assure that the benefits of democracy and growth at the macroeconomic level reach all of our hemisphere’s citizens. Absolutely. And at the same time, we are seeing several countries in Latin America more interested in developing ties â€“ economic, social and political â€“ with countries in Asia and Europe. I have traveled to Europe and Asia to encourage interest and investment in Latin America. The Asia Pacific Economic Forum, which links Mexico, Peru, the U.S., and Canada to some of Asia’s most dynamic economies, holds a lot of promise to deepen ties between Asia and Latin America. This has been a great session. I enjoyed the opportunity to talk with you about our partnerships in Latin America. Together, we can create a hemisphere that is more balanced in opportunity and more secure, for everyone. Thank you. Cartoon #78 – Chavez Leads Bush On A Latin America Spring Break. Chavez Distributes Oil Money – Will Bush Distribute Renewable Energy Favors? At SustainabiliTank.info we are watching with fascination the various new minuets at the UN and in Latin America. The launching of a purported one year life span – INTERNATIONAL BIOFUELS FORUM – that will try to pick up subjects like the commoditization of ethanol-for-fuel that were started 30 years ago, but got burried by US Congress, is now the latest mantra sounding from Washington. The subject lies dead for 30 years and no prince in sight yet who will say that it is insane to punish imports of ethanol to the US by slaming on them a high tariff, while imports of oil get no tariff, and are in effect susidized with military expenditures, and waste in human life to mercenary US armed forces. Has the US woken up because of the forays that Chavez makes distributing money he gets from the US for seling it oil? Chavez even distributed money to the US poor – right here in New York City! He is now going to visit a thankfull Argentina that he helped save from financial debacles that came about in part because US banks lent money in situations that did not warant credit. Latin America is not yet the Middle East – so an honest effort by the US might yet win the day. Will we see such an honest effort? We are eager and watching. In the meantime, and before coming out with our own informed opinions, let us see what others think of the President’s trip to Latin countries of the hemisphere. The trip starts this coming Thursday, March 8, 2007. The International Herald Tribune and The New York Times carried an article by Larry Rohter from Sao Paulo, Thom Shanker and Jim Rutenberg from Washington, but did not include any reporting from their UN correspondent – this is proof to us that they really did not give any credibility to the launching of the Forum that we witnessed at the UN. We believe that they are wrong, and that when President Bush gets to talk to President Lula of Brazil, and then to talk to President Tabare of Uruguay, with Chavez tripsing across the bay in Buenos Aires, there will be a change of heart by someone. We believe it will be the US President’s heart to change, and upon his return he may indeed be advised to fight Congress for change – and this time, on these topics, for change in a positive direction. By JIM RUTENBERG from Sao Paulo and LARRY ROHTER from Buenos Aires – for The New York Times – March 8, 2007. President Bush arrived here tonight for the start of what he has portrayed as a “We Care” tour aimed at dispelling perceptions that he has neglected his southern neighbors. But the fresh graffiti on streets here in South America’s largest city calls Mr. Bush a murderer. And the smattering of protests and the placement of antiaircraft guns around town that have preceded his arrival present an alternate interpretation of his visit: as a clash between the United States-style capitalism he espouses and the socialist approach pushed by leftist leaders who have grown in power and popularity. President Hugo ChÃ¡vez of Venezuela, Mr. Bush’s chief nemesis in Latin America, will be leading a protest against him in Buenos Aires as Mr. Bush arrives across the Rio de la Plata in Montevideo, Uruguay, on Friday night. “Our planes will almost cross paths,” Mr. ChÃ¡vez said this week, although he denied any intention to sabotage Mr. Bush’s visit. Whether inadvertently or not, though, Mr. Bush irritated Mr. ChÃ¡vez with a speech he gave in Washington on Monday. In it, he said SimÃ³n Bolivar, the hero of South America’s independence struggle and Mr. ChÃ¡vez’s idol, “belongs to all of us who love liberty.” That remark brought a sharp and sarcastic rejoinder from Mr. ChÃ¡vez the next day during his weekly radio program. But in spite of administration attempts to minimize the shadow cast on the visit by Mr. ChÃ¡vez — who has called Mr. Bush “the devil” and has pushed an aggressively anti-American agenda throughout the region — the tour itself seems at least in part geared to counter his influence. Mr. ChÃ¡vez has built that influence in part by showering poor communities in Latin America with money for housing and health care and freely dispensing oil at cut-rate prices. He promised hundreds of millions of dollars to help families buy homes and said he would dispatch a Navy hospital ship to the region to provide free health services. In his interviews this week, Mr. Bush has repeated that the United States’ aid to Latin America has doubled during his tenure to roughly $1.6 billion a year. “When you total all up the money that is spent, because of the generosity of our taxpayers, that’s $8.5 billion to programs that promote social justice,” including education and health, he told reporters on Tuesday. Some of Mr. Bush’s aides this week said they were worried that perceptions in the region that the United States had neglected its southern neighbors, and that frustration in lower classes that had not reaped the benefits of free trade, were helping to fuel the region’s leftist movements. Mr. Bush told reporters that he hoped to counter Mr. ChÃ¡vez’s message by espousing the benefits of free trade. But even Mr. Bush’s Brazilian hosts seemed divided in their reaction to that message. Although President Luiz InÃ¡cio Lula da Silva will be meeting with Mr. Bush on Friday to sign the ethanol accord and is scheduled to visit him at Camp David on March 31, the party he leads has chosen to support and participate in the anti-Bush demonstrations. The party, the Leftist Workers’ Party, warned on its Web site that Mr. Bush “shouldn’t count on Brazil for imperialist actions in the region.” One essay called him “the big boss of international terrorism,” while another declared that Mr. Bush was “persona non grata” in Brazil. The Council On Hemispheric Affairs (COHA) Elucidates the US Position in Latin America – this before the President’s March trip to the South. Bush to work with Lula to further U.S. ambitions to use Ethanol as a means to decrease petroleum dependency. U.S./Uruguay FTA talks expected to further jeopardize Montevideo’s relationship with MECOSUR. Bush and Uribe’s discussions of Plan Colombia II shadowed by issues of Colombian Congressional collusion with right-wing paramilitaries. Efforts to mobilize creation of a cordon sanitaire around Venezuela. Likely outcome of the Bush trip. Prospects for reviving regional relations. What caused U.S. ties with Latin ties to founder? Off Course: Current U.S.-Latin American Relations; U.S.-Latin America ties suffer from Iraq distraction.The rise of the left. The Negroponte factor will soon be unleashed featuring more stick than carrot. Assistant Secretary of State Shannon’s policy of constructive engagement towards Venezuela and Bolivia about to be swamped by Negroponte’s advent as the administration’s main architect of U.S. policy toward the region. The administration is using “populism” as a dirty word, a fitting replacement for the word “communism” during the Cold War. Pink tide at high tide. President Bush has been witnessing the advent of a new bloc of left-leaning and sometimes robustly anti-American leadership that has sprung up in countries such as Venezuela, Bolivia, Ecuador and Nicaragua, among others. At the same time, there are a number of recent developments throughout the region that Washington only now beginning to correctly see as a menace to its own narrow definition of U.S. national interests. Bush will discover that the region will never be the same now that Washington’s obsession with Iraq has freed up the region to go its own way on a number of global highways. Preceding by several weeks President Bush’s upcoming visit to Latin America, Iranian President Mahmoud Ahmedinejad stopped off in Caracas, Managua and Quito in mid-January to welcome an expanding crop of tough-minded and often abrasive hemispheric figures willing to aggressively speak out on regional issues, often at Washington’s expense. Ahmedinejad’s visit coincided with civil unrest in Mexico, threats of secession in Bolivia, and President ChÃ¡vez’s crackdown on a rabidly right-wing Caracas TV network. Until recently, it seemed that the flowering of a new generation of hemispheric populist leaders symbolized by Venezuela’s Hugo ChÃ¡vez and Bolivia’s Evo Morales who appeared to have less to do about leftist rhetoric than with hard policy aimed at advancing a coherent political system which would best serve their basic constituency, the poor, but not necessarily Washington’s. Now, however, with Washington’s massive distraction over Iraq and its deteriorating relationship with Iran, the challenges posed by a restless Latin America have resulted from an unexpected opportunity to break from its traditional moorings and sail free. Ultimately the U.S.’ ability to lead and inspire its neighbors, will no longer be automatic, but will have to be earned. Bush is No Student of Latin America: When Bush thinks of the region, images of his amiable paladins like El Salvador’s Tony Saca, whose administration could not survive an audit, or Costa Rica’s Oscar Arias, who sees only his own reflection in everyone’s mirror, come to mind. But they are hardly anything more that yesterday’s Latin America, a function of failed U.S. regional policies. With the U.S. mired in its problematic “War on Terror,” a new faction of self-absorbed Latin American nationalists are becoming increasingly emboldened by Washington’s mounting irrelevance in the region’s future. The Bush administration is being made aware that its leverage in Latin America is rapidly dissipating. Even well-meaning kinsmen found at the top in Brazil, Colombia, Chile, let alone its Central American banana republics, don’t always salivate when the bell is rung. If this is true, the U.S. could be running out of conventional diplomatic options to “stay the course.” Today, apart from Central America’s durable servitors like El Salvador and Costa Rica, and the White House’s victory in turning the CAFTA-DR free trade pact into a portal for the U.S.’ entry into Central America’s markets, only Mexico remains to be accommodated. For President CalderÃ³n, Washington must establish a guest workers program so that he may reach his goal of successfully exporting up to a million undocumented workers to the U.S. which would help alleviate the immigration issue between the two countries. Meanwhile, the moderate left in South America seems to be fast escaping from Washington’s grasp as the region goes global, not only in matters of trade but in mindset. With the region’s leaders offering growing resistance to Washington’s free trade model and their refusal to take a U.S.-sought defiant stance against ChÃ¡vez’s provocative rhetoric and leftist goals, Latin America is signaling that it will not necessarily follow a Washington-defined development path, which is better known for its inability to break away from Cold War instincts. The rise of moderate leftist leadership in Latin America is the result of a series of reasonable events. One possible explanation is that an oversold nexus of free trade pacts over the past two decades has failed to bring tangible benefits to a wide spectrum of the region’s population, particularly to those trapped in structural poverty. Some of those who originally were active proponents of regional trade pacts like NAFTA, have since acknowledged that such ties often have failed to live up to expectations. Skimpy economic growth, low levels of job creation and entrenched corruption have been some of the more notable aspects of the pact’s failure, but are certainly not the only ones. No matter how often the White House refers to free trade as alchemy’s most perfected draught, the limited success of Washington’s free trade dogma has prompted a skeptical attitude regarding the alarming growth of financial inequality throughout Latin America. As a result, brimming economic nationalism stemming from endemic frustration over the continued dominance by traditional political elites has reemerged. These components have helped bring to power a crop of leaders who have promised their electors that they will fairly spread authority among the region’s perennially-exploited indigenous and other disadvantaged elements of the population. As has been seen in recent months, many of these new leaders have broken from the above clichÃ© and appear to be acting on their rhetoric and not simply poised on their laurels. Hugo ChÃ¡vez has succeeded in reversing the deplorable conditions under which generations of his people have been forced to live. This mission has seen notable success in capturing the hearts and minds of Venezuela’s poor, while other equally boisterous hemispheric players have proven to be more bark than bite when it comes to delivering upon their ambitious campaign promises. The anti-American line to which much of the new regional leadership initially subscribed is now split into hard-liners and soft-liners, when it comes to either confronting or embedding with Washington. One of the major casualties of the White House’s distraction over Iraq is that the U.S. has faded as an all-prevailing Western Hemispheric presence, by failing to come up with a winning formula to reassert its traditional primacy in the region. Despite the White House’s recent botched efforts to coerce favorable verdicts from a record number of presidential elections in Latin America, non-U.S.-anointed populist candidates are still winning the predominant number of votes of their electorate. An example of this is Nicaragua’s 1980’s revolutionary leader, now-President Daniel Ortega, who reemerged victorious despite overt U.S. interference and two decades of repudiation by the electorates. Assistant Secretary of State, Thomas Shannon (currently the administration’s leading Latin American policymaker), and U.S. Ambassador William Brownfield (outgoing U.S. ambassador to Caracas) have been relatively restrained in their handling of Latin America’s most recognizable populist, Hugo ChÃ¡vez. Shannon and Brownfield, though, have ventured beyond the Bush Administration’s normally primitive and ideologically-driven strategy, and are calling for constructive engagement with the Venezuelan leader. Deputy Secretary of State, John Negroponte—who has been convincingly accused of being one of the lead plotters of the Honduran death squads while he was ambassador to that country in the early 1980’s—has managed to avoid answering a stream of potentially embarrassing questions on such matters by seeking refuge in his tendency to contract selective amnesia. He has just been confirmed by the Senate as the State Department’s number two man. This change of command could be catastrophic for the region because Negroponte, who already has expressed his desire to act forcefully against ChÃ¡vez, will have seniority over Shannon. Even before his confirmation, Negroponte sharply criticized some of ChÃ¡vez’s actions, which should be considered indicative of the much tougher policy line that he is certain to follow once he gets settled in. Due to Bush’s often-stated judgment that Negroponte is his “kind of guy”, it would not be surprising that Shannon, at a predictable future point, will decide that he has irreconcilable differences with the hard-line Negroponte and ask for a transfer, or even resign from his position if he is unable to obtain an equivalent post within the Department or an embassy. In a stunning rebuke to Bush’s foreign and defense policy, the Democrats won control of both houses of Congress last November for the first time in over a decade. Nevertheless, as it applies to Latin America, many Americans fail to realize that despite the worldwide implications of this country’s “War on Terror,” up to this point its strategy has generally failed to make the international community feel any safer, and instead has increased anti-American sentiment, thereby ironically and unintentionally promoting America’s vulnerability, or at least the appearance of it. Latin American editorialists increasingly are raising the question: what will the Democrats’ congressional sweep mean for Washington’s policy toward the region? They are aware of Bush’s vast unpopularity and the singular opprobrium that his policies are attracting from both rich and poor throughout Latin America. Several weeks ago, a bipartisan congressional delegation traveled from the U.S. to Cuba seeking new ideas and reviewing old components from a long-soured relationship, and several U.S. legislators have independently visited with ChÃ¡vez in Venezuela. Still others have traveled elsewhere in the region, seeking to engage a new generation of leadership in meaningful dialogue. In general, all of these trips have produced at least some positive results. The Democratic leadership would be wise to approach the subject of future U.S.- Latin American relations with a coherent and open mind, as the subject can only be broached by a frank discussion with some of the region’s most fractious leadership. It can be argued that until problems with Venezuela and Cuba are resolved, such an exercise could be pointless. Only through a process of negotiations, rather than a series of diktats, will real progress be made. Though trade ties may be of transcendent importance to the Bush Administration, they cannot possibly define the entire relationship between Latin America and the U.S. Major regional powers such as Brazil and Argentina, as well as some of the smaller nations, require leeway to develop their own sense of economic and geopolitical national destiny. Bolivia, for example, where the majority of the population is impoverished, also suffers from high rates of illiteracy and meager levels of foreign investments. Creative initiatives coming from the U.S. alone will not necessarily generate effective and immediate solutions to age-old problems, but could at least start improving the situation. Furthermore, the trade agreements sought by the U.S. need to be accompanied by guarantees of corruption-free and environmentally-conscious incentives, as well as acute attention being directed to potential regional trading partners. Washington would also be wise to reverse the expanding roster of skeptics by approaching the region with the same dogged determination to clean out the Augean stable, whose growth dates back to the closing years of the Clinton administration. Political appointees such as Otto Reich, Roger Noriega and John Bolton, were para-diplomats who specialized in empty heroic rhetoric devoid of any substance. Their antiquated Cold-War approach relied upon bullying smaller countries into line when it came to persuading them to join the coalition of the willing and conjuring up information in order to advance the administration’s messianic anti-Castro credo. At the same time, these discordant players worked tirelessly, if not destructively, to advance narrow and hegemonic U.S. trade and security interests, which often came at the expense of the region’s poor. The Council on Hemispheric Affairs, founded in 1975, is an independent, non-profit, non-partisan, tax-exempt research and information organization. It has been described on the Senate floor as being “one of the nation’s most respected bodies of scholars and policy makers.” For more information, please see our web page at www.coha.org; or contact our Washington offices by phone (202) 223-4975, fax (202) 223-4979, or email coha at coha.org.